In the wake of the recent Salmonella outbreak that sickened at least 141 individuals, federal public health officials were able to determine the culprit – imported Tuna Scrape. You heard right, the latest food to be scrutinized in the media comes from the seafood industry and can be found in sushi rolls around the world. Nakaochi Scrape, better known as Tuna Scrape, is the ground backmeat scraped from the bones of the fish. This most recent Salmonella outbreak led to the recall of some 58,828 pounds of the tuna product imported from India. With all of the recent press surrounding Pink Slime, a beef product produced by collecting scrap meat from the cow carcass, separating meat from fat, grinding up the meat and connective tissues and finally treating the end result with ammonia, many people are questioning – is Tuna Scrape the new Pink Slime? 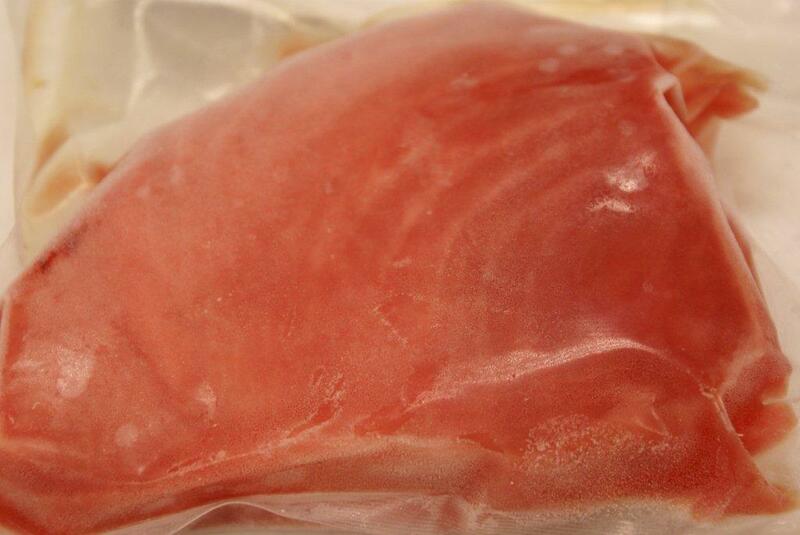 Depending on whom you ask, the answer is a resounding “no.” Many experts believe the comparisons between Pink Slime and Tuna Scrape are unfounded, as the fish product is not treated with ammonia or other harsh chemicals. The location of the meat on the fish simply requires manual removal unlike the more substantial filet cuts we are accustomed to purchasing for consumption. To concur with Yoshimura, as far as the FDA is concerned, Tuna Scrape does not pose any more of a health risk than consumption any other raw fish. The fact that this meat is collected from the backbone does not in any way impact the safety or nutrition of the meat. The risks associated with your run-of-the-mill Tuna Scrape are the same risks you take every time you eat Sushi at your favorite restaurant. The real risk as far as any studies can hint at, is in eating imported raw meats including Tuna Scrape, which make up ¾ of all seafood in the United States… sounds inticing doesn’t it? Who wants to worry about the safety of the foods they’re preparing for their family and friends? The quality seafood delivered right to your door from Passanante’s Home Food Service exceeds all HACCP standards and is delicious! Choose safety, quality and convenience over the imported grocery store imitations. Trust Passanante’s to deliver only the best foods for your family. This entry was posted in Food Safety and tagged 2012 Tuna Recall, Food Delivery Service, HACCP, Nakaochi Scrape, Passanante's Home Food Service, Pink Slime, Seafood, Tuna Scrape by Passanante's Home Food Service. Bookmark the permalink.